This article is a continuation of our list of low investment recycling business ideas, provides four additional low investment recycling business ideas, including a binding service for old books, a play on litter cans as an advertising revenue opportunity, a cloth diaper laundering service, and being an e-waste collector. 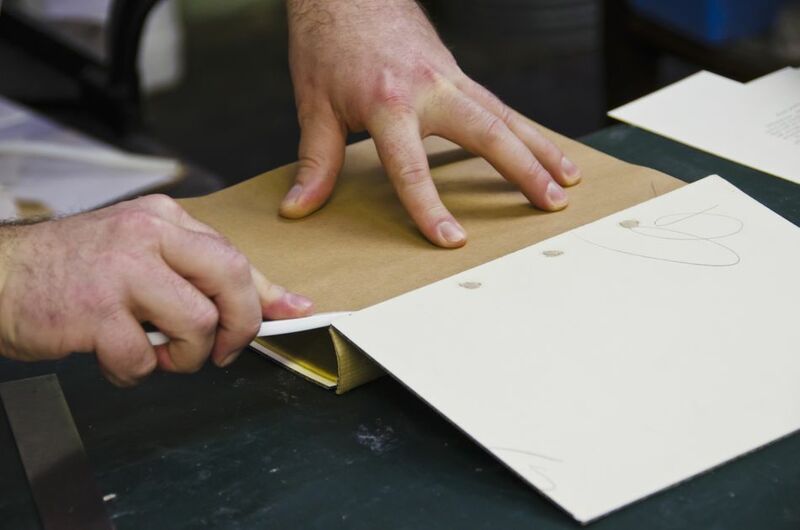 Providing a bookbinding service from home is perfect for someone with very little capital because bookbinding equipment is extremely inexpensive and can be undertaken with minimal effort. You can start with binding and repairing small quantities of books. There are many people who love collecting and preserving antique books and such people should be your target customers. Simply establish alliances with book collector clubs and secondhand book retailers, you should have plenty of bookbinding and repair jobs. You can be able to buy collectible books at a low price, repair, and bind them and then sell for more. Another idea is to create custom notebooks that will sell at a premium. Getting a brand in front of customers in new and different ways is always a challenge. That's where this business idea fits into the picture. By purchasing some 200 commercial-grade liter cans and installing those cans in high-traffic indoor and outdoor locations, you can open up a great advertising revenue generating opportunity. A start-up investment requirement under $2000 can get you started. Although this can be done in large scale installing larger quantities of litter cans, you can do it on a part-time basis from home as well. The key to success in this venture is securing highly visible indoor and outdoor locations such as inside shopping malls, community and recreation centers, and in front of the retail store. This business opportunity is created by the fact that a baby can go through as many as 4000 disposable diapers before getting completely toilet trained. So, there are many parents who are looking for an environmentally friendlier alternative to the disposable diaper. Your business can be a complete solution to the problem by supplying, washing and giving cloth diapers back to the parents. Or, you can simply supply and pick up the cloth diapers and get the diapers cleaned by a commercial laundry. The first one should generate more revenue for you, but you may still prefer the second one for simplicity of operation. To launch your business, you will require an ample supply of cloth diapers as well as a vehicle to deliver clean ones and to retrieve soiled ones. Marketing is another important consideration. You need to promote the environmental friendliness and low cost of your service. E-waste recycling is something that can be done at the grassroots level with little investment, but which ultimately scales into an investment-intensive operation. Of course, we are talking about the low investment end of the spectrum, and this is the realm of the e-Waste collector, who buys or collects old devices, refurbishing or dismantling as appropriate, sorting materials and selling to scrap yards for easy cash. To do this job, you need to have a good bit of technical knowledge like how to scrap a TV, air-conditioning unit or refrigerator. So, after you know how to scrap old electronics, you can make people in your locality know that you scrap old electronics for free and get lots of old, out of order electronic products to scrap. You can do it from home, but you need to have a small truck or trailer. While the ideas presented above are examples of successful entrepreneurial undertakings, keep your eyes peeled for emerging needs in the marketplace, and see if you can invent a profitable solution.